Vornado | The Air Geeks, reviews of air conditioners, dehumidifiers and air purifiers. Vornado is a small appliance manufacturing company that deals with appliances related to air circulations such as fans, air purifiers, humidifiers, fabric steamers, and heaters. The name Vornado actually is derived from the words ‘Vortex’ and ‘Tornado’ which were the buzzwords associated with pioneering fan-technology in the 1930s. The technology led to revolutionization of the aviation and domestic fans. The original company, the O.A Sutton, discovered in the 1940s that the technology used in the World War 2 era planes could use for domestic purposes. The first Vornado-branded fan was perfected in 1945. Sutton was later purchased by Gibson Refrigerator Co. in 1959, and the company and the company expanded its line of products to include air conditioners, dryers, and heaters over the years. Vornado products have a 5-year warranty, 10-year guarantee, and a lifetime support to ensure customers have a piece of mind when operating the appliances. In case of defects on the products that the company has a return-shipping program that ensures the appliance is replaced with a working one. Vornado manufactures air purifiers that use True HEPA technology and SilverScreen technology. The AC550 and AC350 use the HEPA technology to remove bad odor and airborne allergens by 99.97% up to the 0.3-micron diameter. This makes them very effective in ensuring the air you breathe is very clean and free of disease-causing germs. The air purifiers use a combination of 2 True HEPA filters and 2 activated carbon filters. Dust, Pollen, Pet Dander, Smoke, Bacteria, Mold Spores, Dust Mites, and other particles do not stand a chance against this type of filtration system. Despite the massive technology deployed, the purifiers manage to emit a whisper quiet noise so you are not bothered in bed or in the study room. These purifiers do not emit ozone. The Silver Screen PO300 SilverScreen Photocatalytic oxidation technology is used to destroy airborne contaminants. These include bacteria and viruses smaller than those that cause the flu, common cold, and antibiotic-resistant infections. This makes them more effective than the conventional filter-based purifiers. Vornado has a wide range of options when it comes to humidifiers. From evaporative to ultrasonic humidifiers, you will always find one that fits your liking. EVDC500 is a whole house humidifier that can cover spaces of up to 1000 sqft and retails at around $140. It is an evaporative humidifier that has a tank capacity of 2 gallons and humidifying rate of 4 gallons per day. Its control panel enables precise auto-humidity control to provide a natural humidification process while at the same time making sure white dust is not left as the mist dries. Other humidifiers include Ultra1 ultrasonic humidifier and Ultra3 Ultrasonic Humidifier that uses vortex technology to drive the air out of the humidifier. Both models have an onboard humidistat to automatically regulate moisture output. 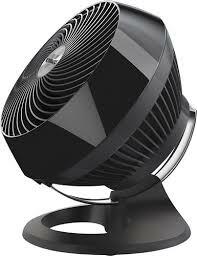 Below you will find our reviews for the best air products by Vornado. Thank you for visiting the Air Geeks!